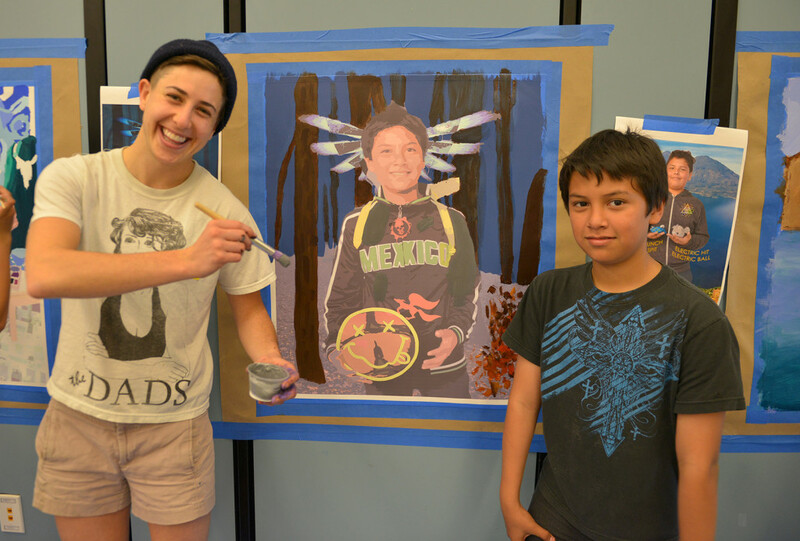 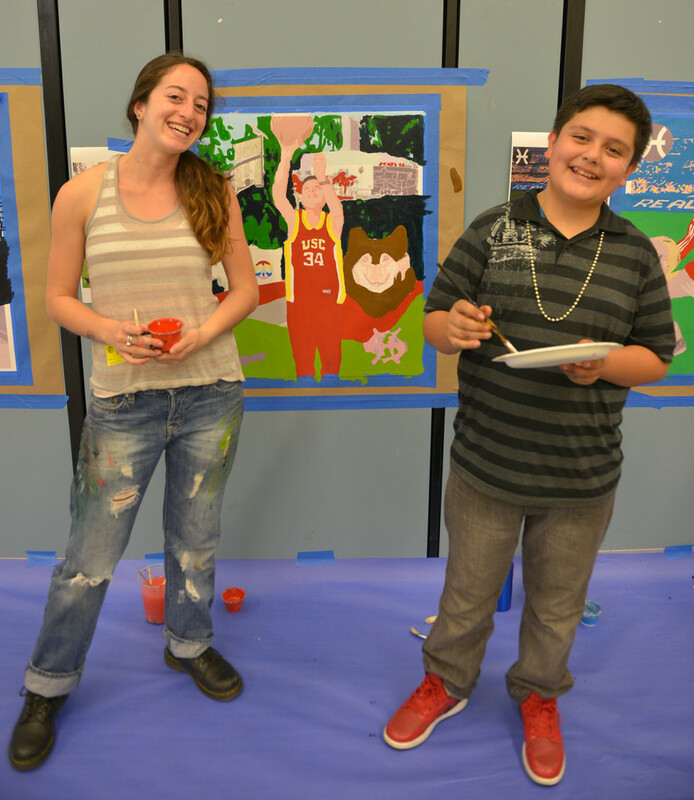 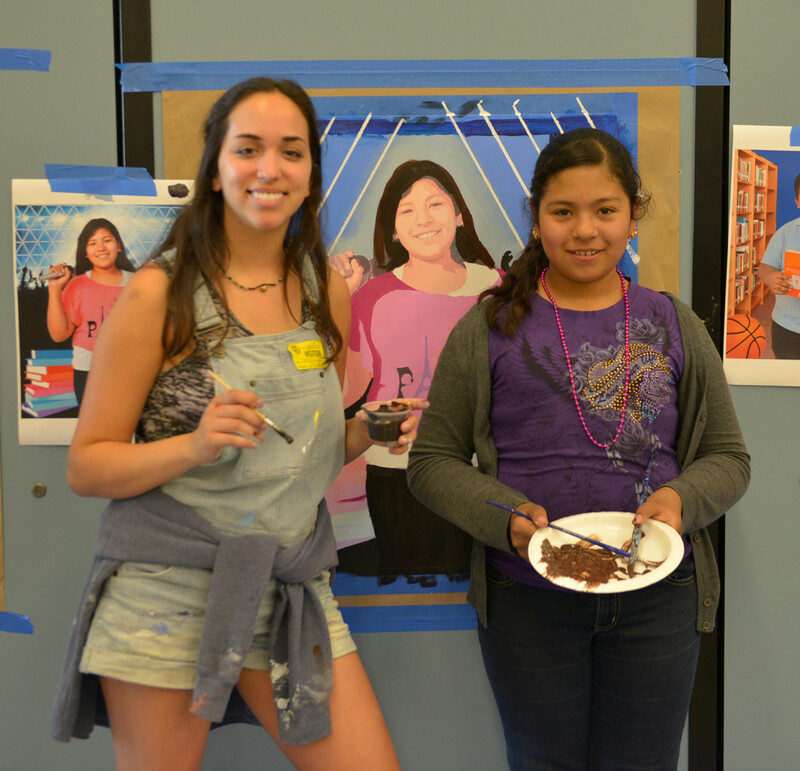 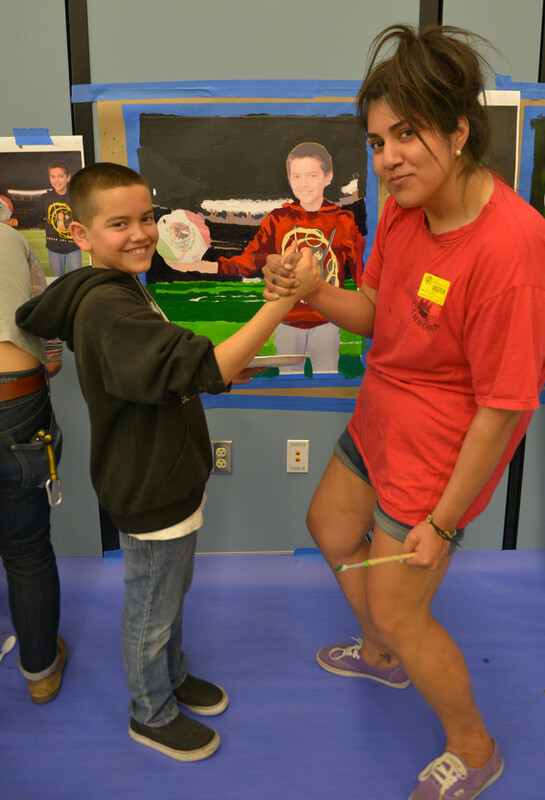 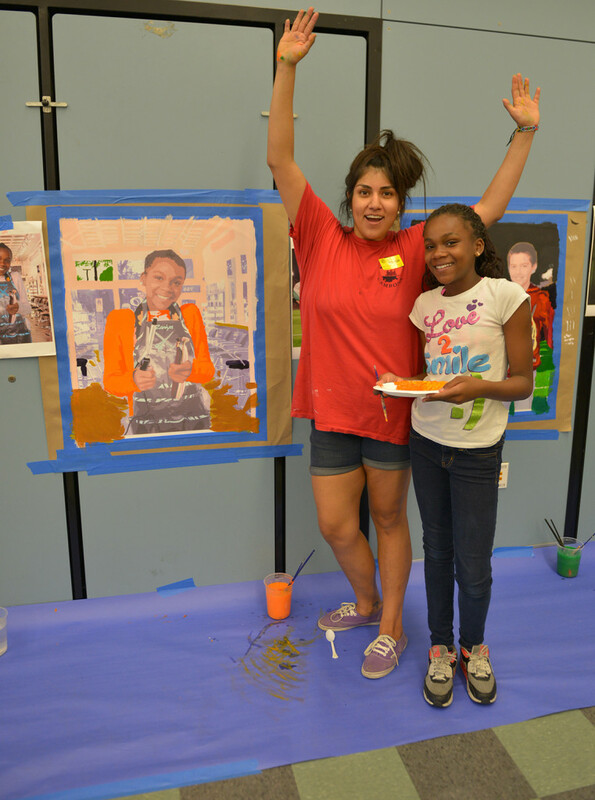 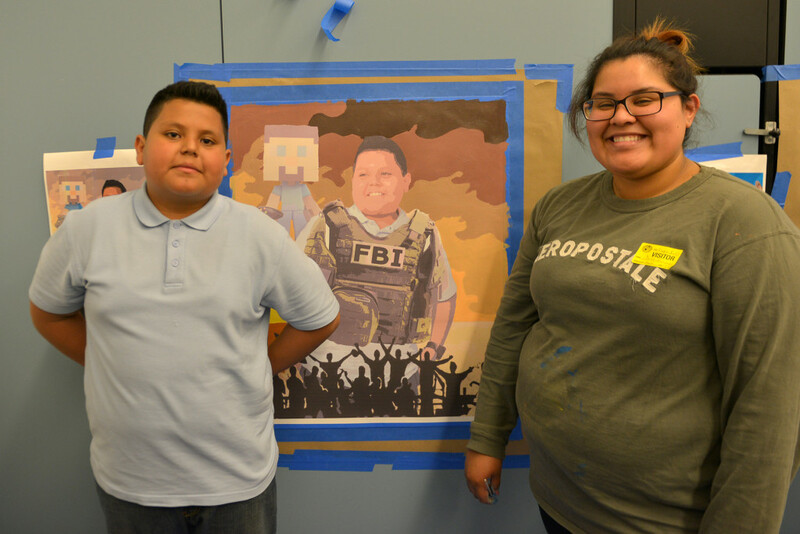 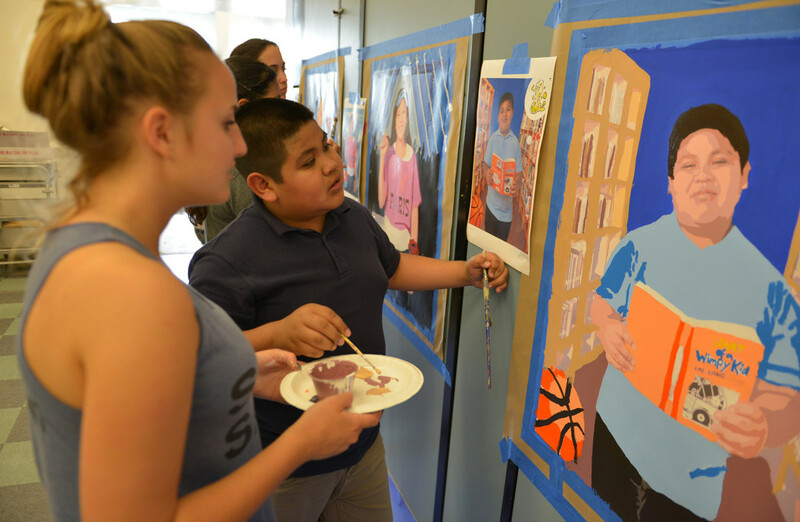 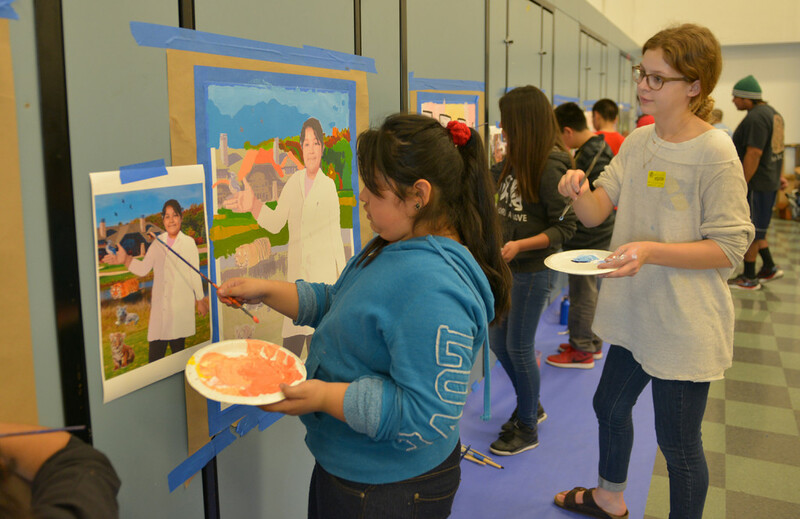 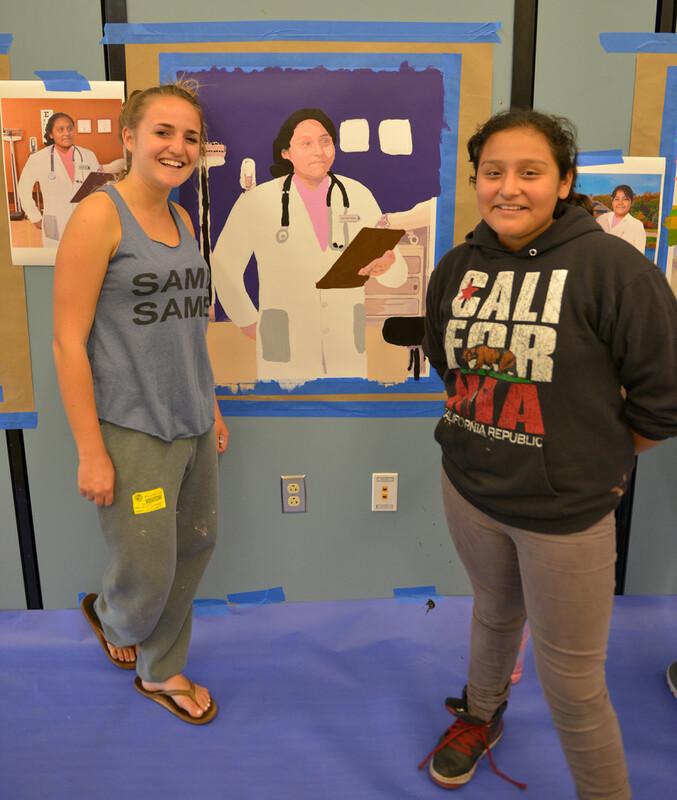 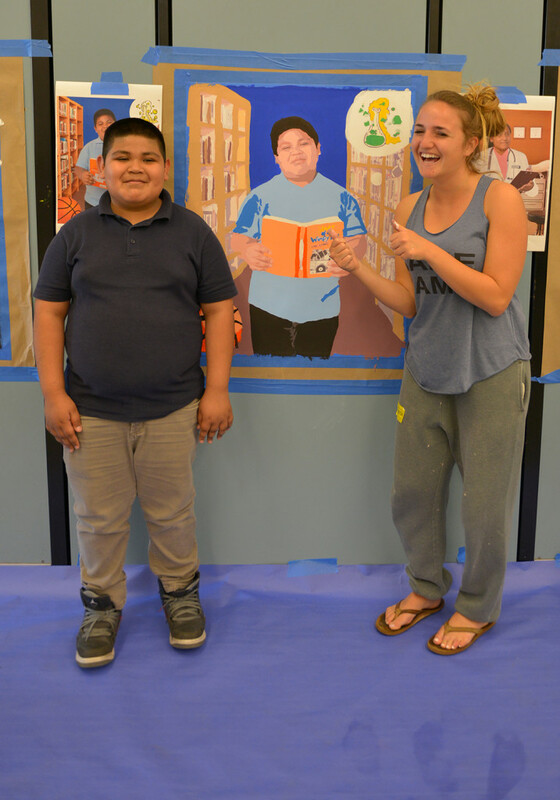 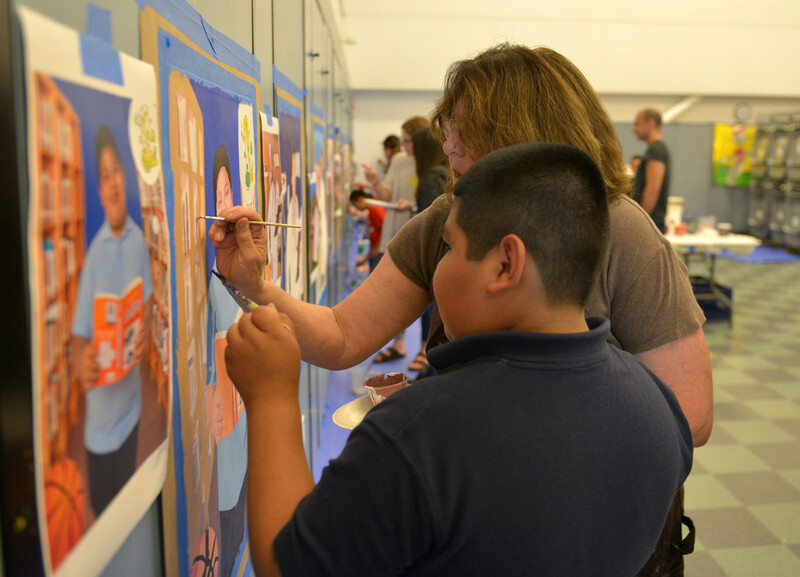 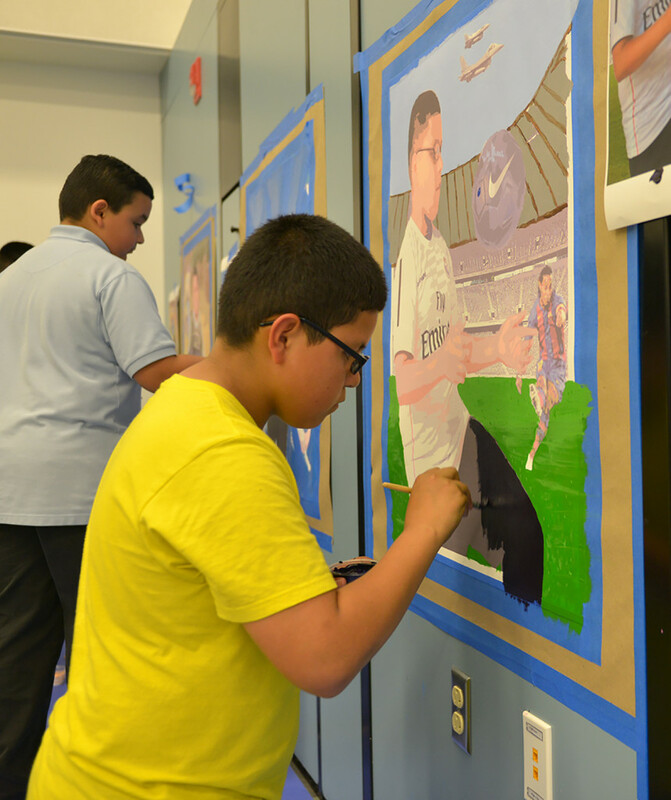 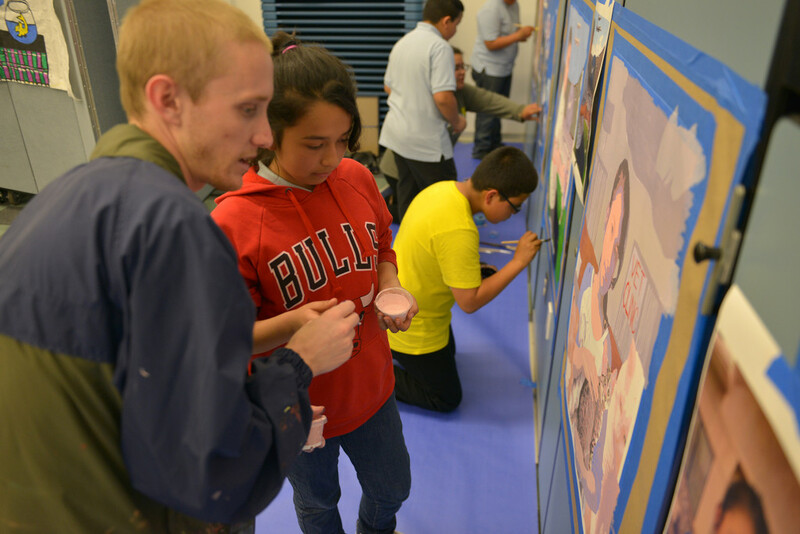 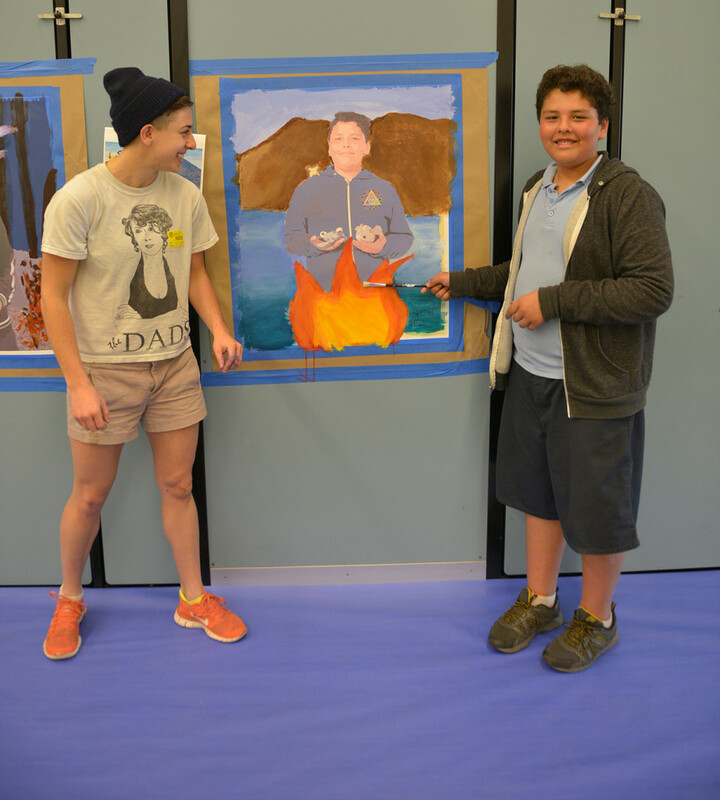 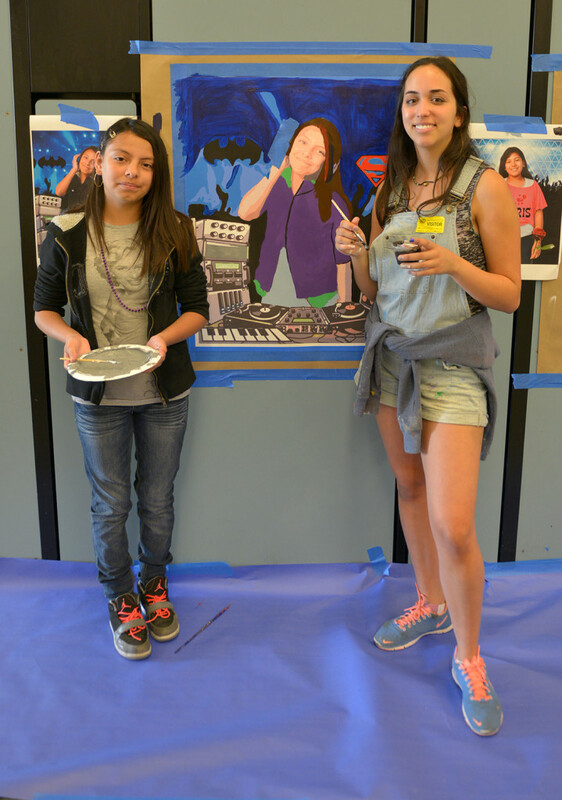 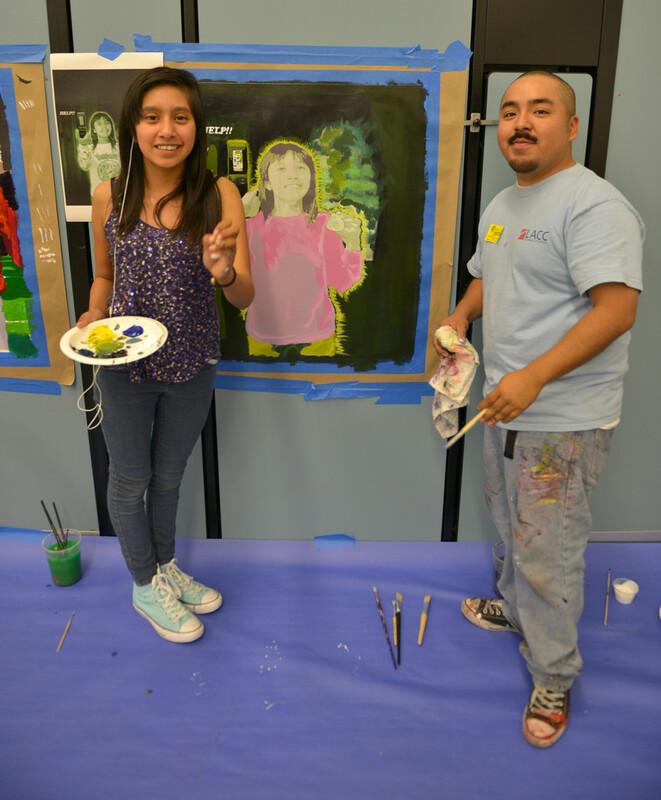 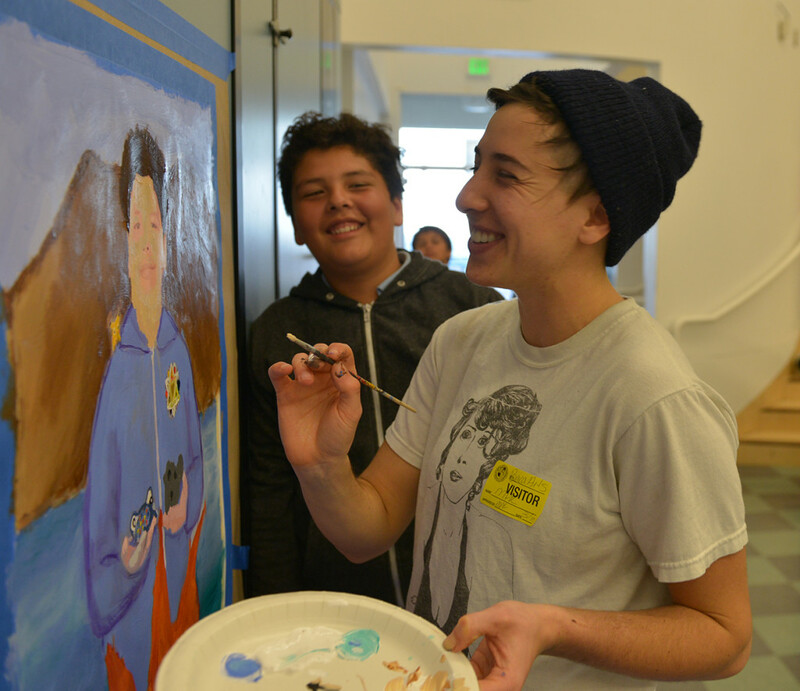 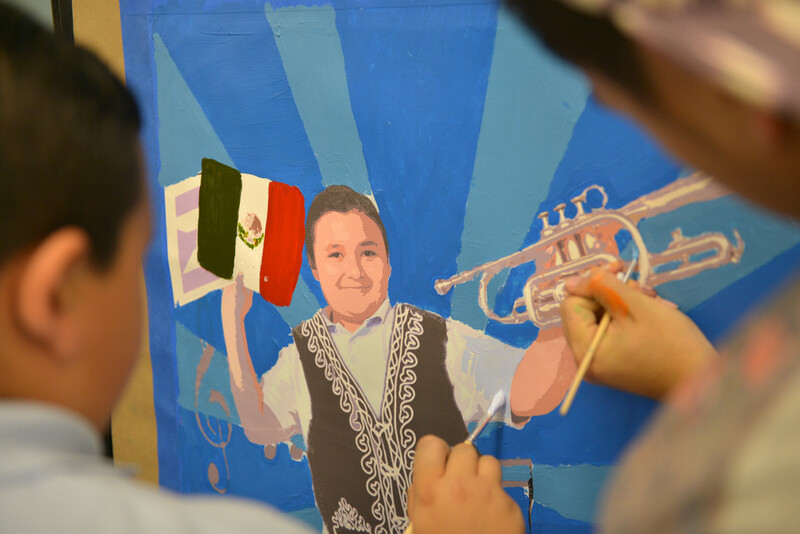 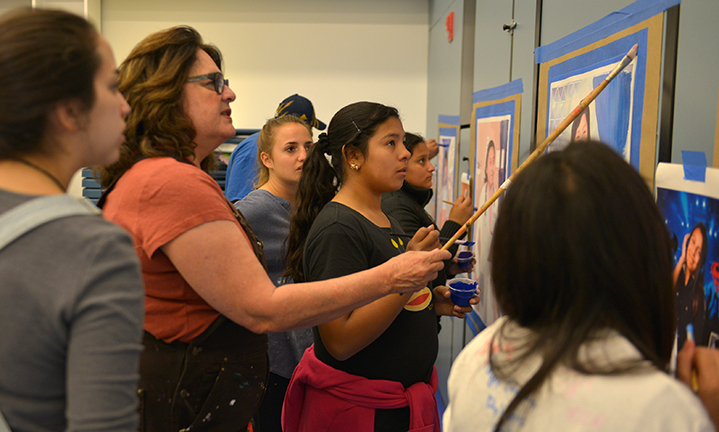 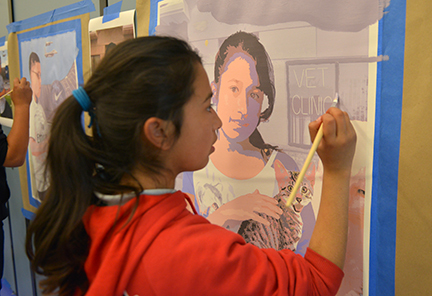 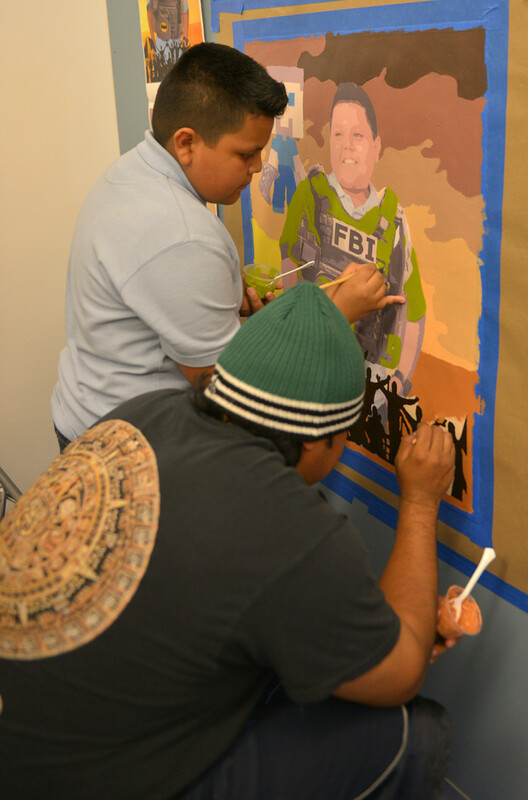 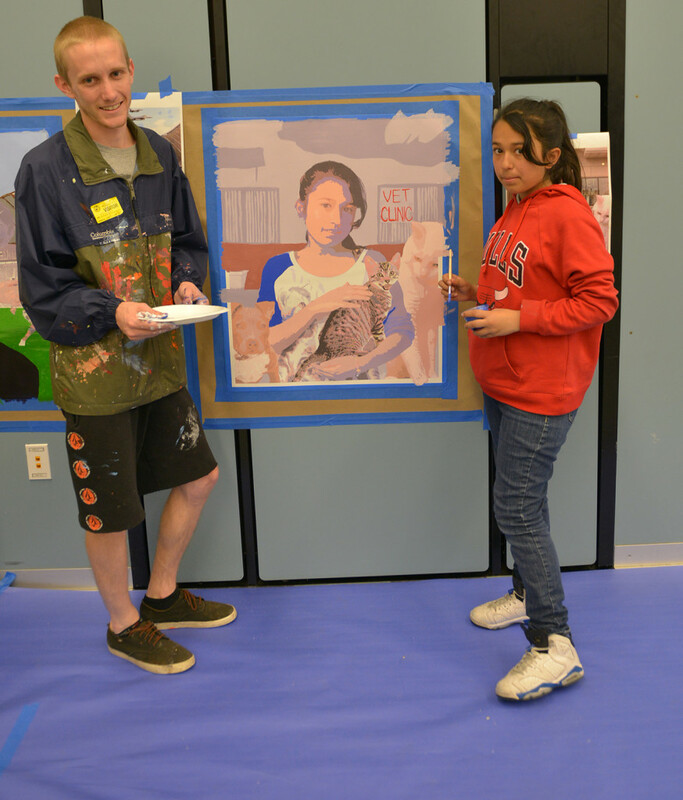 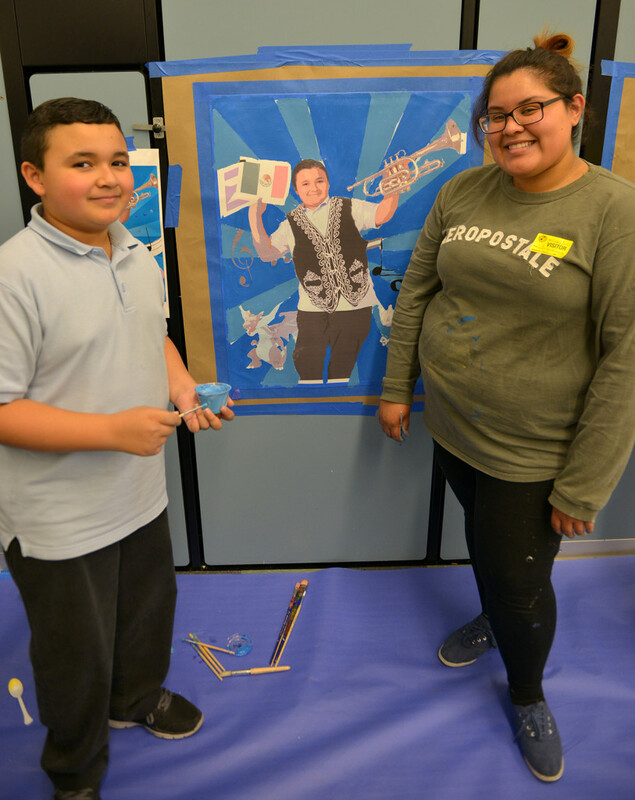 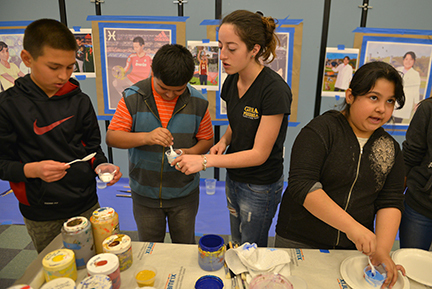 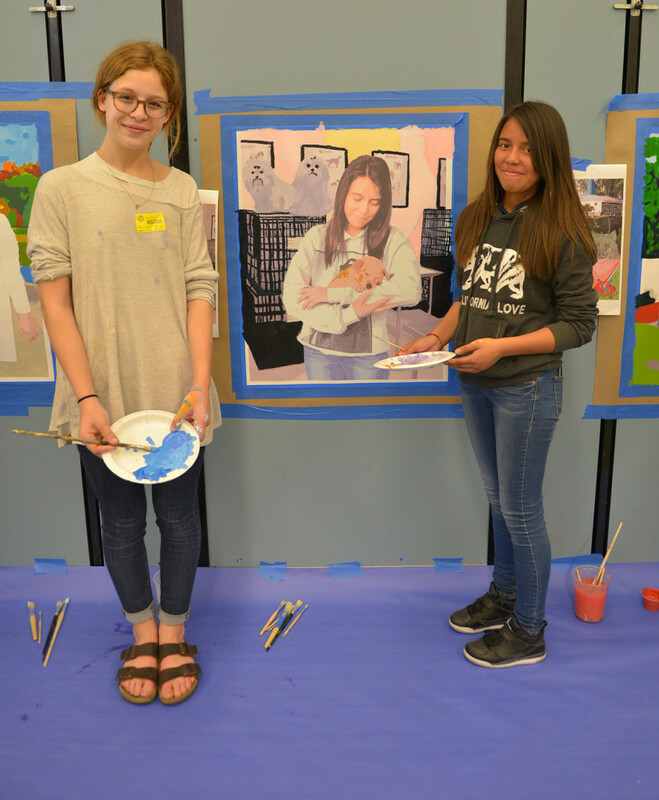 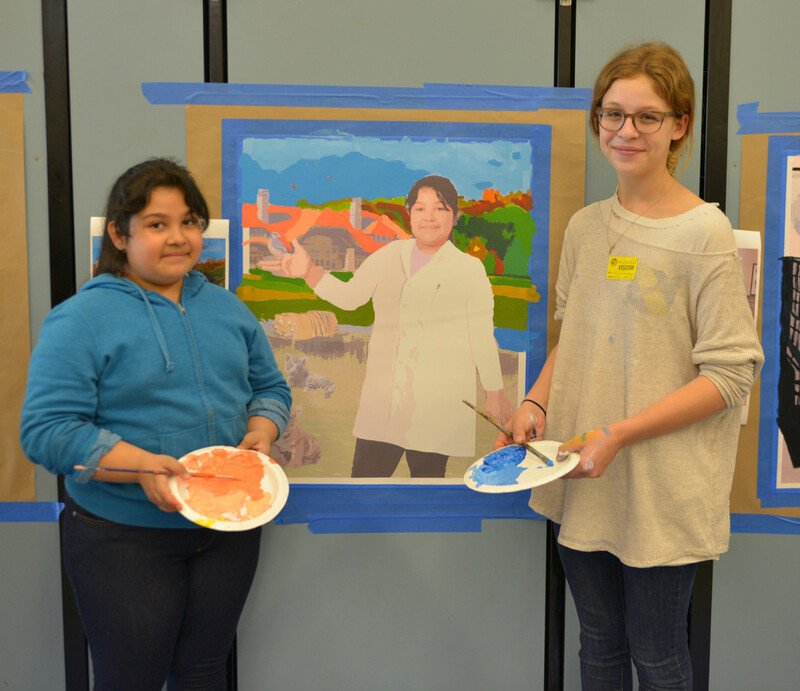 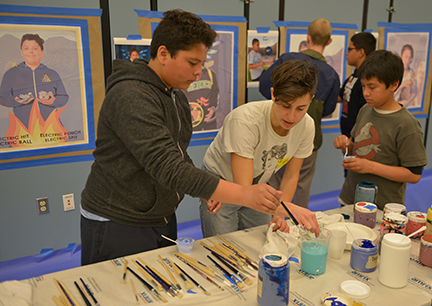 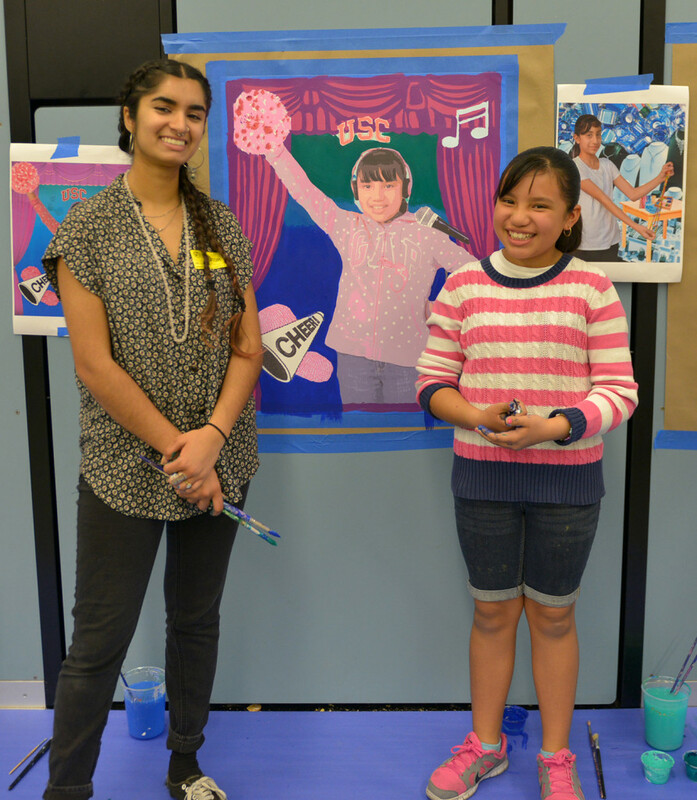 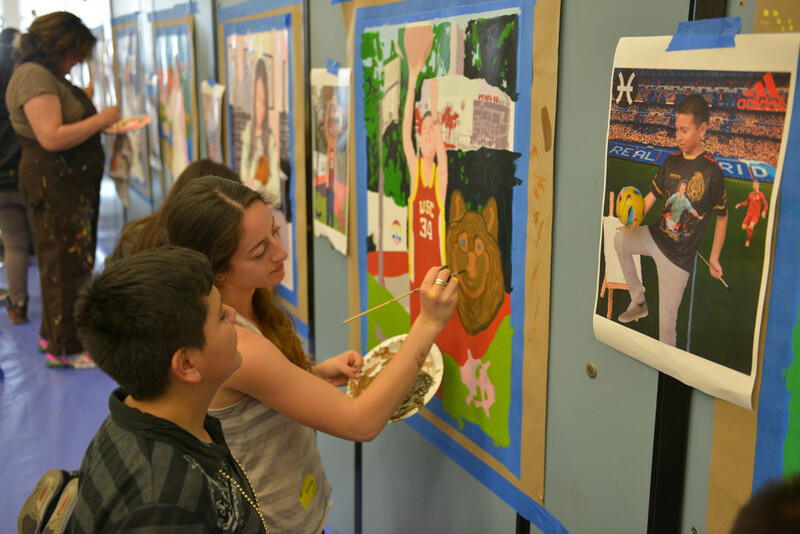 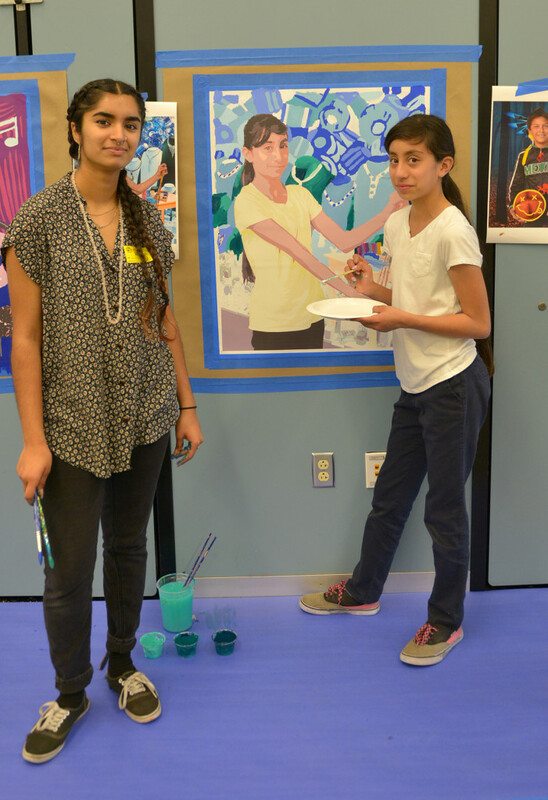 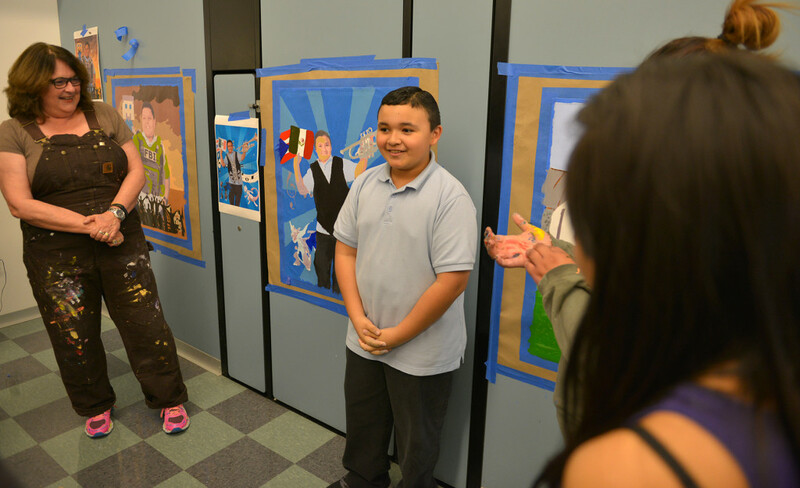 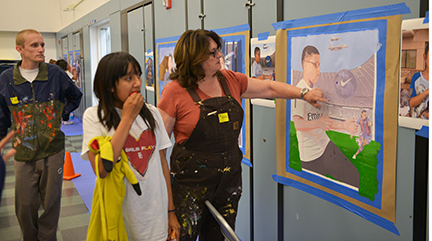 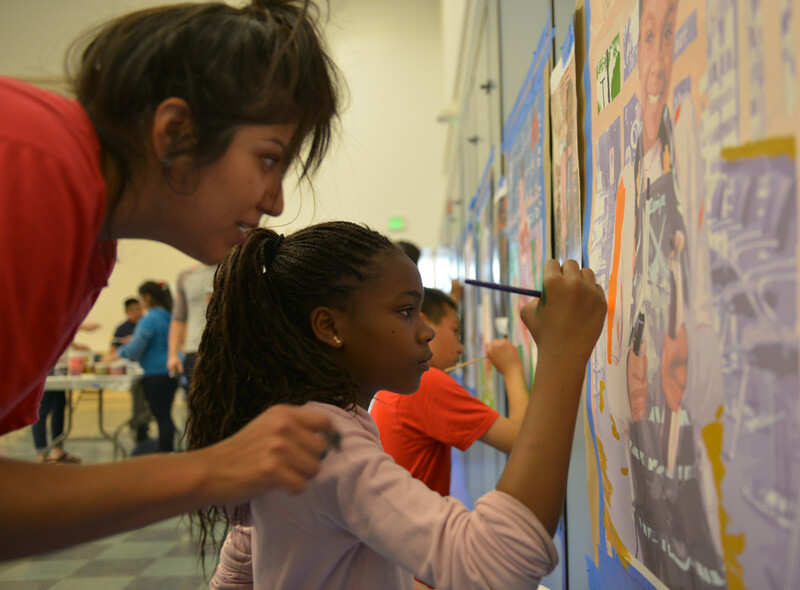 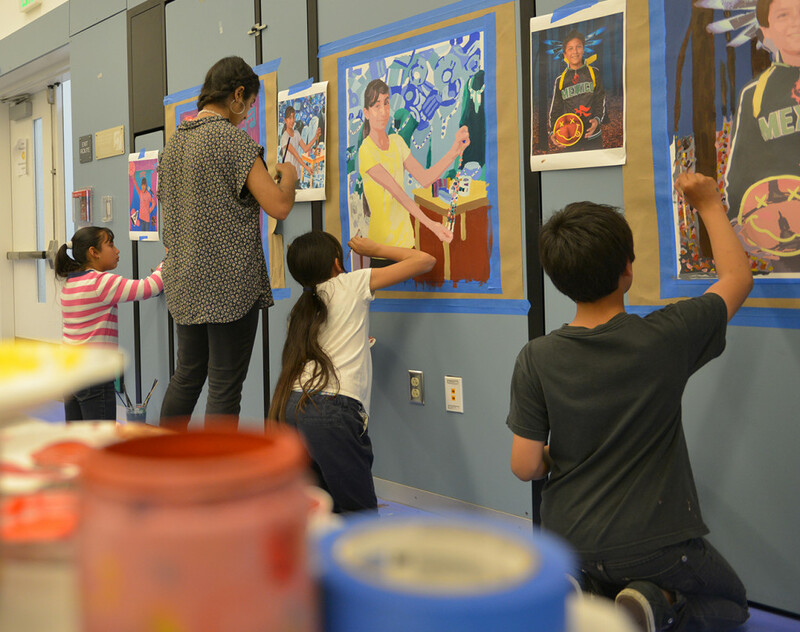 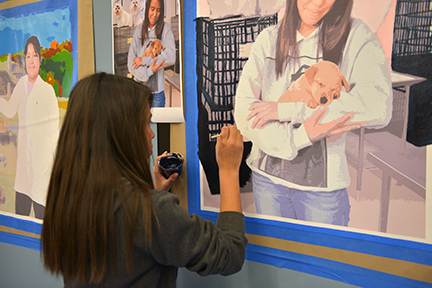 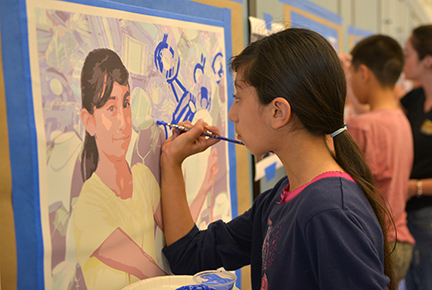 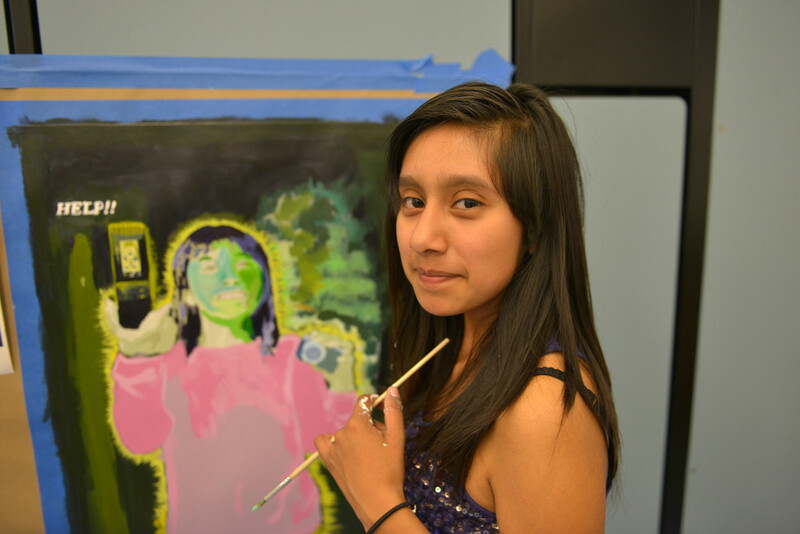 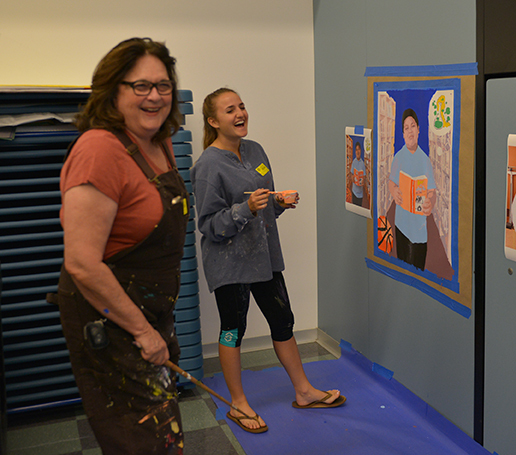 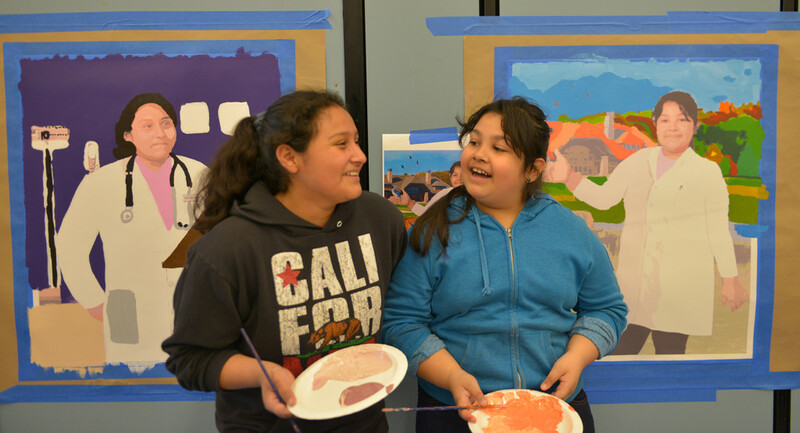 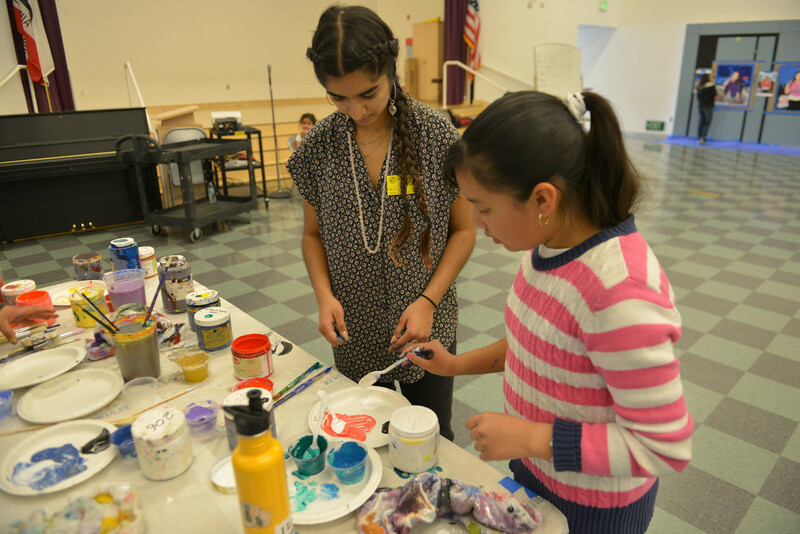 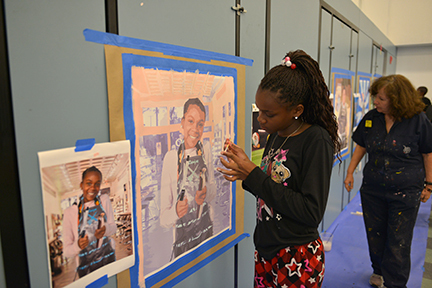 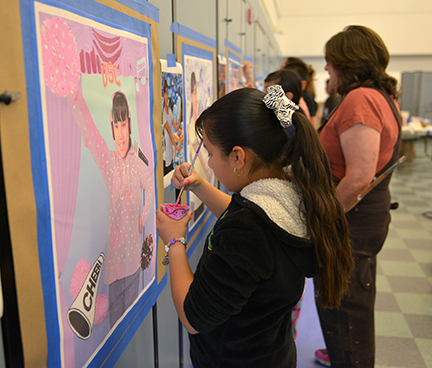 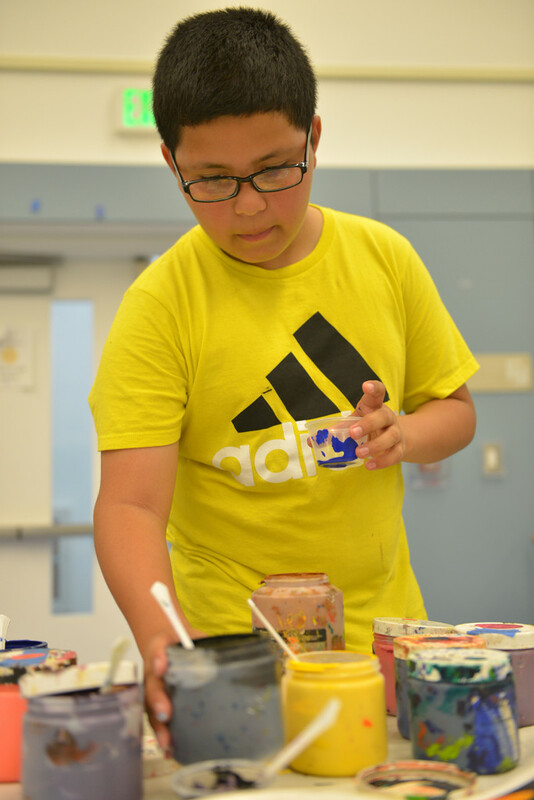 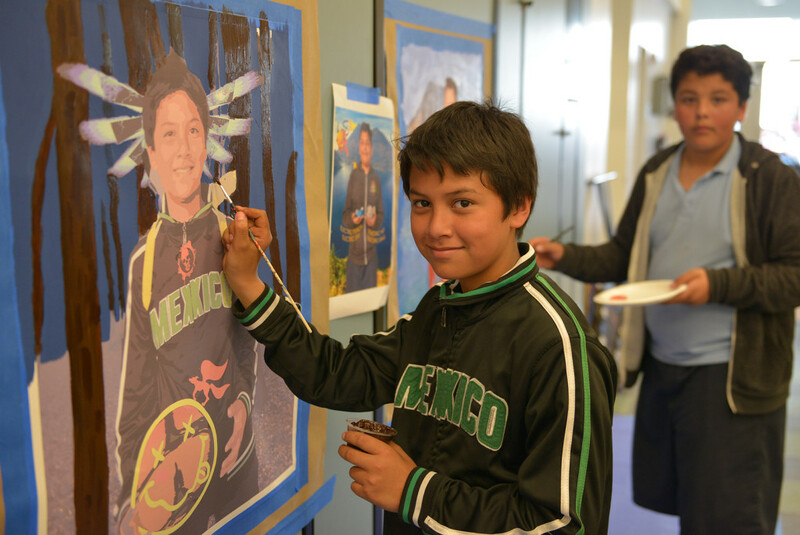 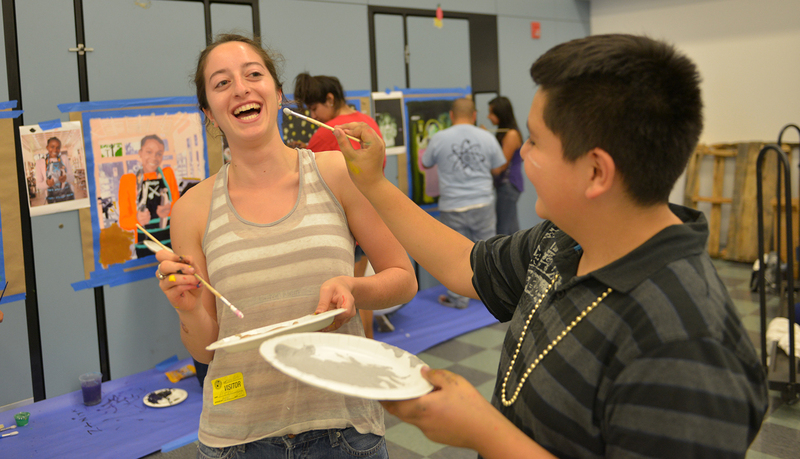 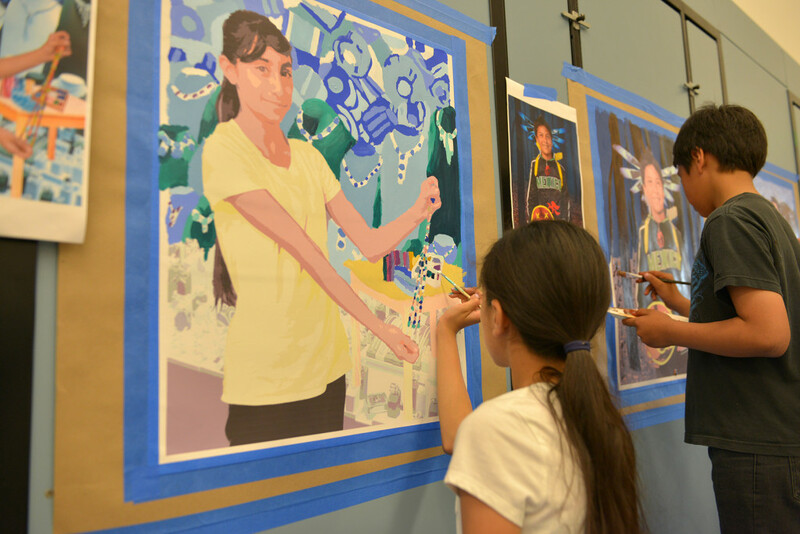 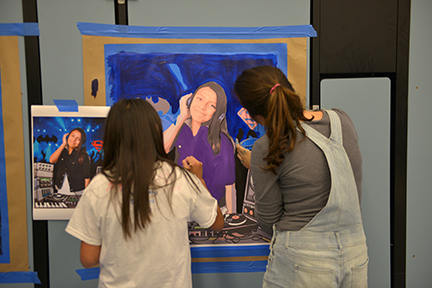 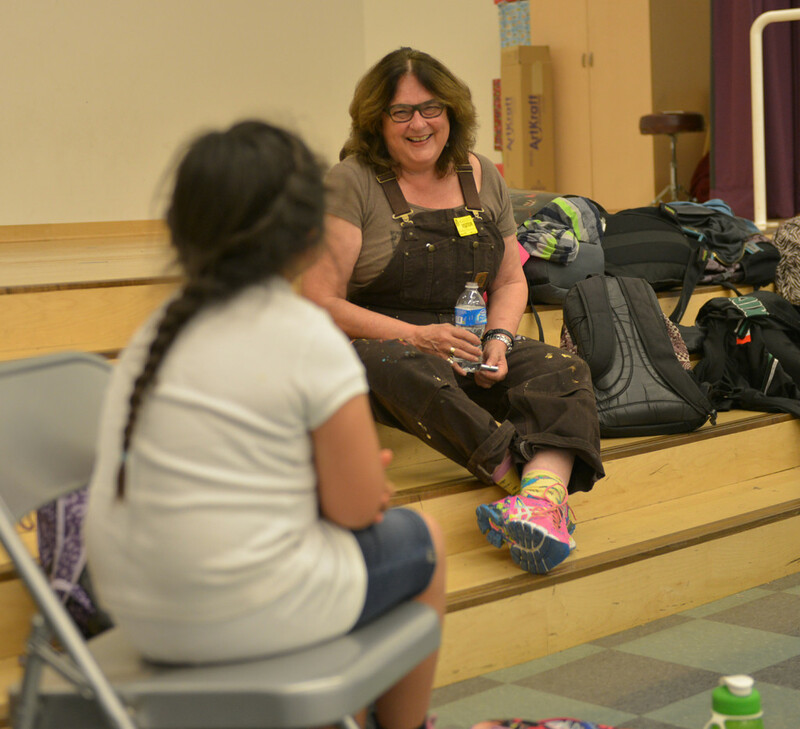 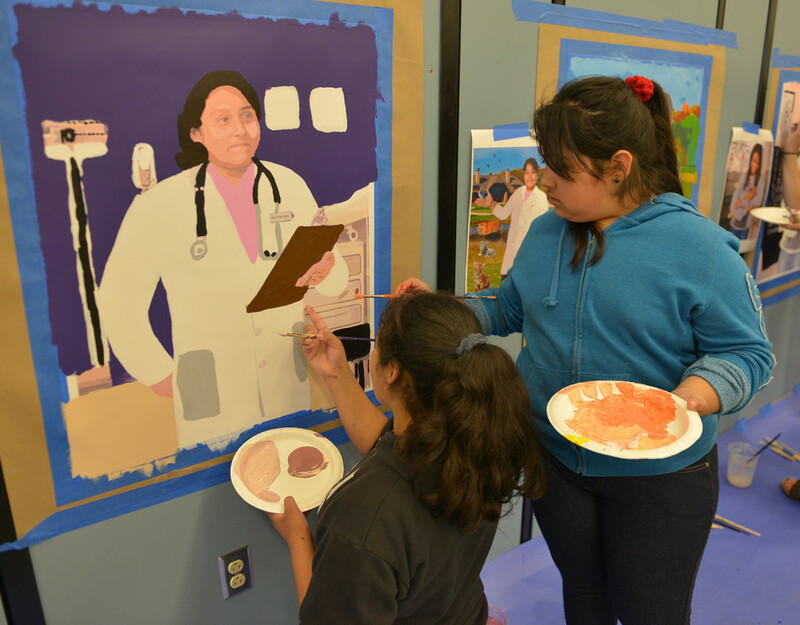 As part of Judy’s pedagogy, UCLA students of the Beyond the Mexican Mural class are empowered to join her in teaching the Emancipation Workshop, also known as the Collaborative Portrait Workshop, to students of the Judy Baca Arts Academy. 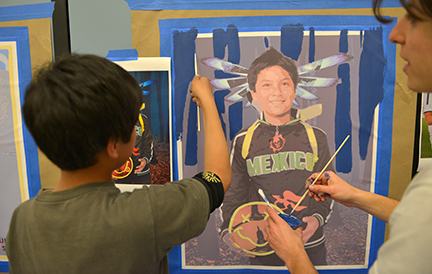 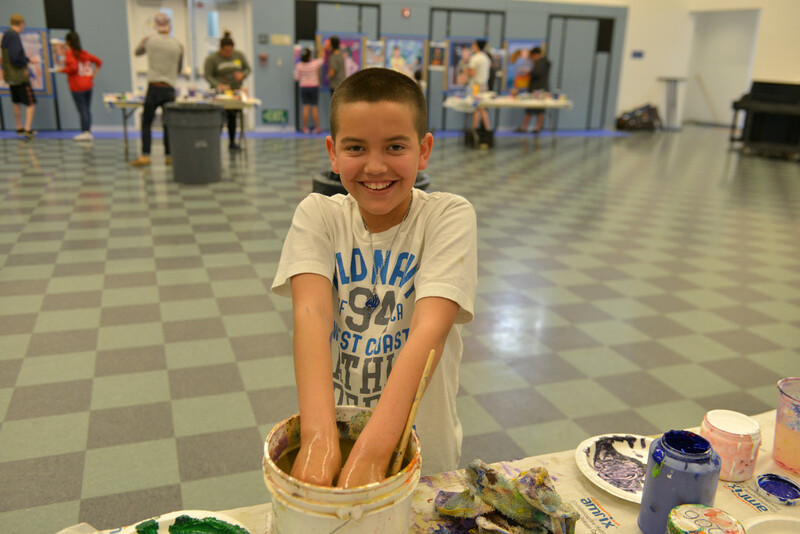 This multi-week workshop provides teaching experience for UCLA students and an opportunity for Judy Baca Arts Academy students to reflect upon and self-express his and her own distinctive identity. 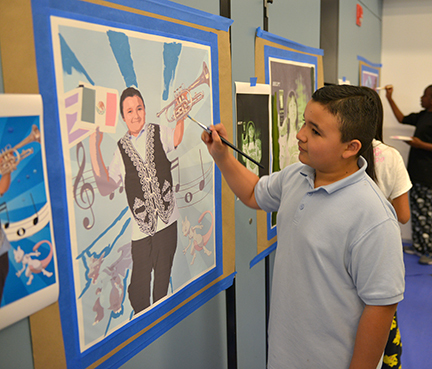 The first two weeks are devoted to talking and developing imagery to express the student’s identity. 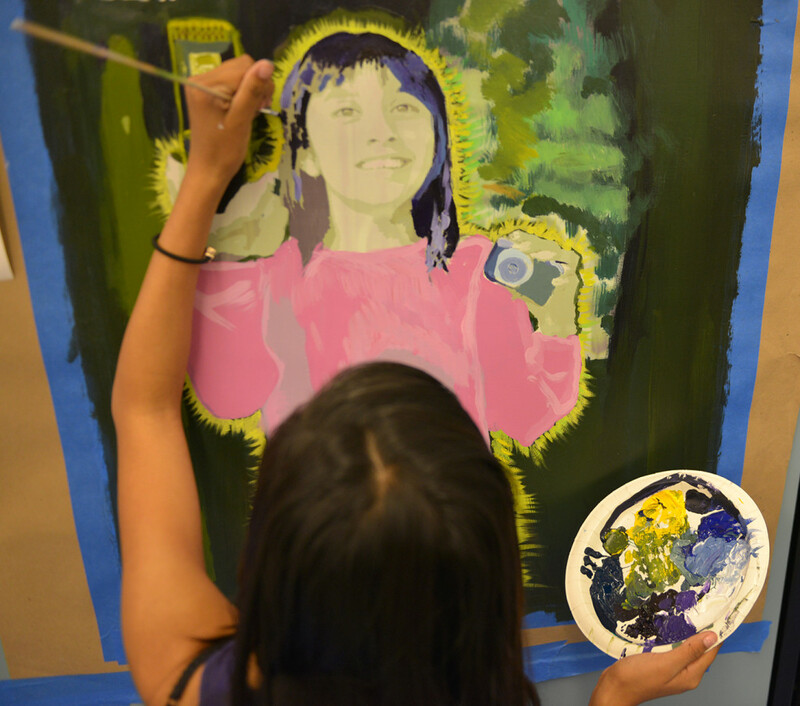 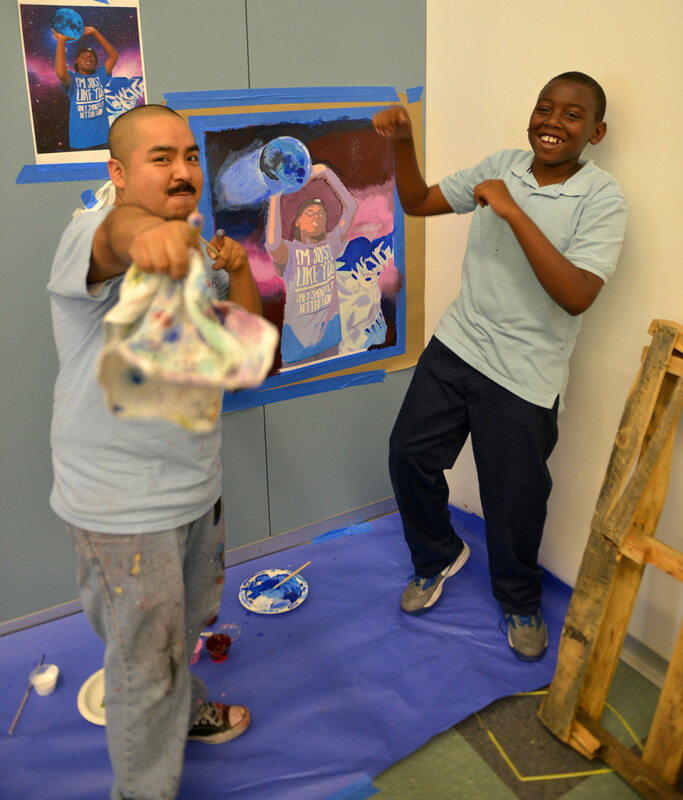 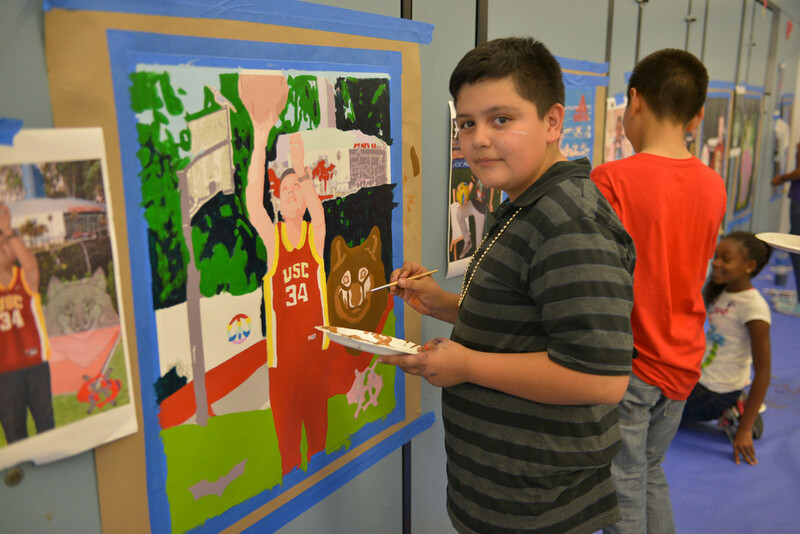 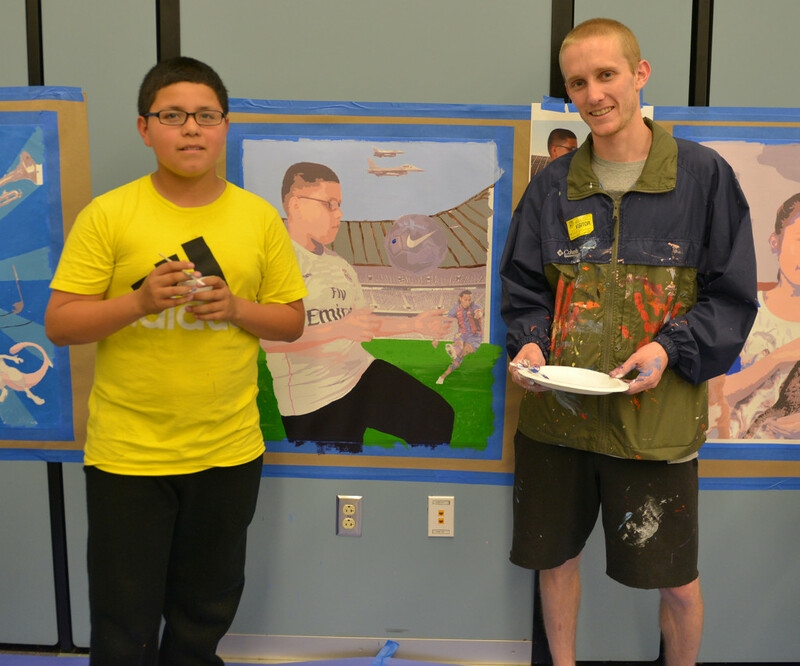 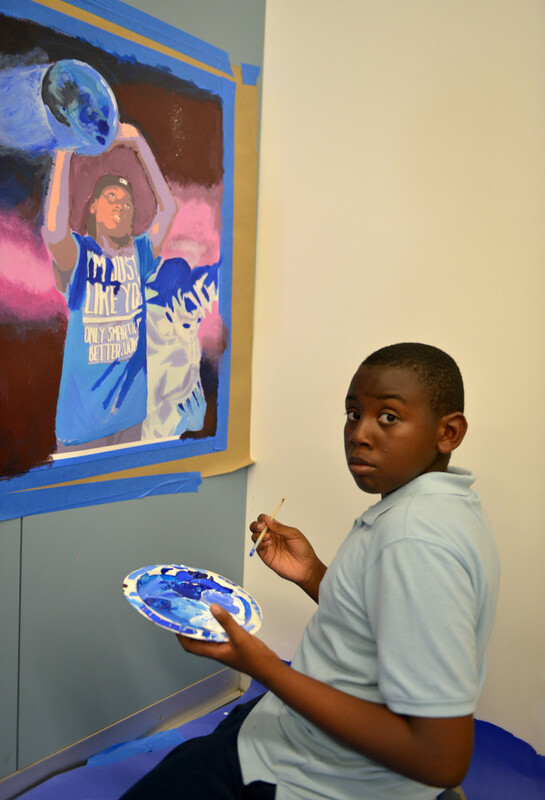 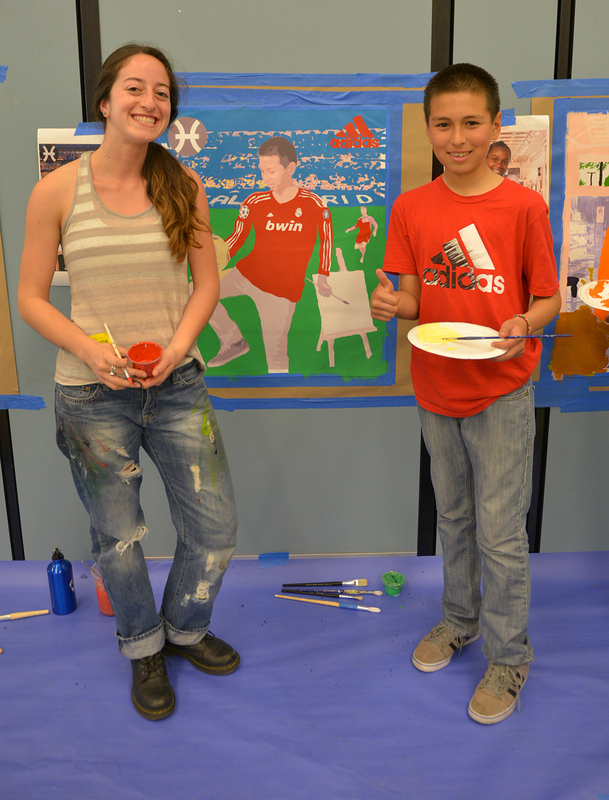 The third and fourth weeks are for painting! 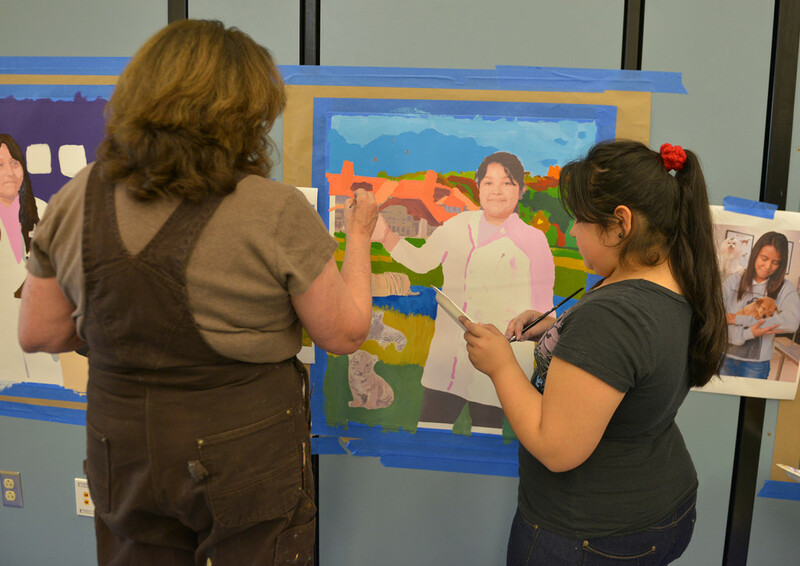 Here is a behind-the-scenes look at the Workshop.